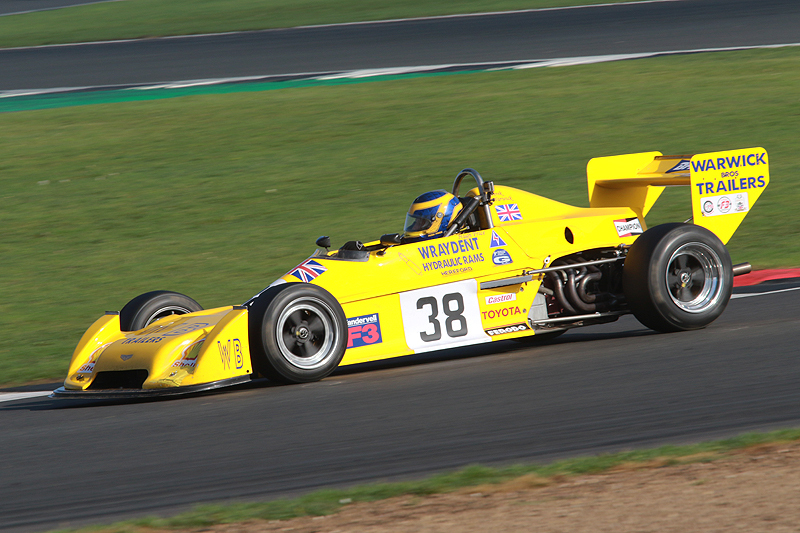 The Historic Sports Car Club has announced a ‘spirit of the championship’ award for the Classic Formula 3 Championship. Marking the 25th anniversary of the first HSCC race series for 1600cc and 2-litre Formula 3 cars of the 1970s and early 1980s will be the Chevron ‘Spirit of the Championship’ Trophy. It will be presented at the end of the season to the driver who best typifies the sporting spirit of the championship. The HSCC Classic Formula 3 Championship is open to F3 cars built and raced from 1971 to 1983 and includes invitation classes for period Formula Ford 2000 cars. The season opens at Donington Park on 30 March and includes a very high-profile date at the Silverstone Classic (26-28 July). The 24-strong field for the Donington race includes the ex-Derek Warwick Chevron B38 of Hugh Price and the ex-Elio de Angelis B38 of Nick Taylor.